Matt Miles is an environmental consultant living in rural Webster County, Missouri. Beyond that, he is an avid freelance wildlife photographer. Drawing on a life-long interest and study of wildlife, Matt captures intimate and dramatic images that have appeared in numerous publications. 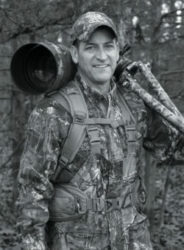 Matt’s other pursuits include fishing, deer hunting, canoeing, and backpacking with family and friends.